Before practising, concentrate, put yourself in the mood of wanting to memorize, and then stare at each page of your part without focusing. The music is supposed to be kind of blury in front of your eyes. I do that by looking for about six seconds at each page (without really looking). But don’t think about anything but letting this blury image into your subconscious.Â Once you are done with this you just practice the piece forÂ whatever time you need to practice it, and at the end, do the staring again. Maybe it sounds strange, but for me it really, really works. While learning the piece I obviously also look at the orchestra score or piano part, whatever it is I am learning there, but I don’t learn the piece just with looking at it like Steven Isserlis, but I do the more “hands-on-approach”, since I believe that it saves time. Yes, when there is no chance to play the cello at the same time, for example in a train or airplane, I can do some score studying, but I am more focused in my little basement, squeezing all the notes into my brain. I love playing by heart because this is the time when I really know that I own the piece. When I still need the music, it feels incomplete to me, but this is very, very subjective. Try the trick, maybe it works for you as well as it does for me, even now, in older age it lets me learn rather quickly. It would seem from what you say that your memory is primarily visual, but I don’t think that is really the case. I think that like Mozart’s starling, if not Mozart himself, you repeat phrases of what you hear. If you are working on new music, whether it be Reger or Dutilleux, some phrases stick in your brain and then you practice them subconciously throughout the day and even in your dreams. The catchiest phrases come the easiest, but gradually the connective tissue between them gets filled in. Finally, the details of articulation and dynamics become second nature. What is amazing about you is the processing speed and storage capacity of your inner ear. Your trick of visualizaton is a good one, but you always had that talent. I think I used to function like this, Bob, but when I had to learn this awfully difficult concerto by Henri Jolivet I couldn’t find a single “catchy phrase”, nothing really made sense, and I swear I thought I would never ever be able to memorize it. But with this technique I described above it worked. And yes, you are right, I was always a good memorizer, but not to that extent, and not with that speed. Try it, it might even work for you, because you have an amazing memory for sure, so it might be difficult to improve it! Hi George! Well, I think it is almost more a feeling of “digging deep” into the string with your right arm. The sensation as if the string is some kind of swamp in which we can sink in and therefore produce a sound which consists of this depth we feel before. It is definitely the opposite of “flautando”, probably my least favorite colour. Yes, we have to do it sometimes as a special effect, but I use this very, very rarely. Hi Alban, thanks alot for answering my question in such elaboration. I am currently working on Schubert’s Arpeggione and I have been applying your memorization technique. So far it seems to be working quite well. The piece seems to always be stuck in my mind and I’ve learned the first movement rather quickly. Thanks again for your response I really appreciate it. Thanks for clarifying this..I wasn’t sure if you were referring to the left hand, bow arm or an interpretive phrasing..Best Regards! 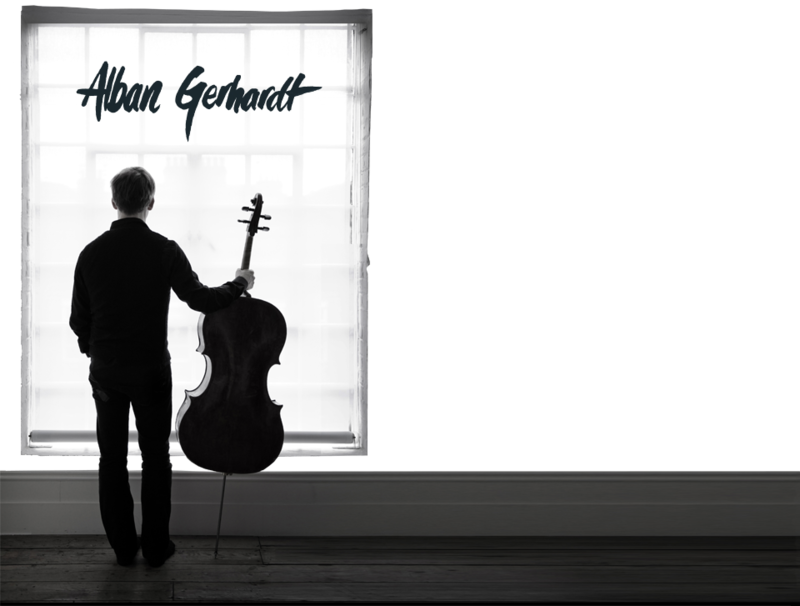 Alban, it’s great that you can memorize stuff, especially cello concertos like that of Dvorak and Elgar. You’re an excellent musician. I once had a conversation with Markus Groh, told him about you, and after the HSO talkback he said to me that if he sees you he’d tell you hello for me. When I was backstage during your concert I remember you were playing a little bit of the Schumann cello concerto. Anyway, hope you come back a third time. Auf wiedersehn.